The best way to start exploring Oklahoma City, Oklahoma is by visiting its excellent museums, from the National Cowboy Western & Heritage Museum to the Museum of Osteology or the Oklahoma City Museum of Art. Stretched on the banks of Oklahoma River, the city offers wonderful outdoor fun in the Boathouse District, the Oklahoma City Zoo, Myriad Botanical Gardens, and great Italian and other restaurants. Here are the best things to do in Oklahoma City, OK. 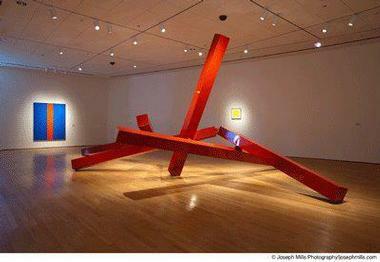 The Oklahoma City Museum of Art is located in the Donald W. Reynolds Visual Arts Center, a 110,000 square foot facility in downtown Oklahoma that was built in 2002 to become a core of the city's cultural life. The museum's permanent collection spans a period of five centuries and focuses on American and European art from the nineteenth through the twenty-first centuries and contemporary art. The museum has one of the largest collections of Dale Chihuly's glass sculptures in the world. The museum also has a premier repertory cinema showing high quality international, classic, and independent films and the Museum School, which offers art classes for all ages and art camps for children. The Myriad Botanical Gardens is a magical place in the heart of Oklahoma City, a 17-acre botanical garden and urban park with a magnificent 224-foot Crystal Bridge Tropical Conservatory as its star feature. The Gardens have several layers of densely planted areas around a sunken lake. The Crystal Bridge Tropical Conservatory is a living museum of plants such as stately palm trees, lush tropical plants, flowers, cool waterfalls, and even exotic animals. The Myriad Botanical Gardens offer a number of education programs for people of all ages such as Roaming the Rainforest and Junior Gardener. The Myriad Botanical Gardens has several significant pieces of art such as "Gateway," a 14-foot-tall abstract sculpture by Hans Van de Bovenkamp and the "Childhood is Everlasting" by local sculptor Robin Orbach. 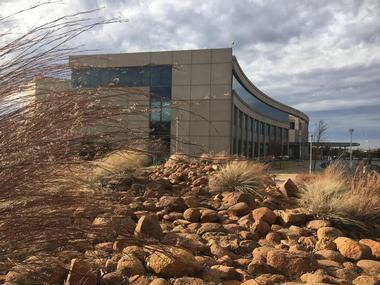 The National Cowboy & Western Heritage Museum is located on a vantage point high up on Persimmon Hill in Oklahoma City, offering a view of the American West like no other institution in the country, including its history, culture, and art. The museum was founded in 1955 in order to collect, exhibit, and preserve a significant collection of Western artifacts and art and promote an understanding of the American West, which is such an important part of American identity. The art collection includes works of world-known artists such as Frederic Remington, Charles M. Russell, and sculptor James Earle Fraser. The museum houses a replica of a turn-of-the-century cowboy town. Interactive galleries focus on the history of the American cowboy, Native American culture, rodeos, Victorian firearms, and frontier performers. Wonderfully landscaped gardens and the Children's Cowboy Corral, an interactive children's space, are also part of the museum. 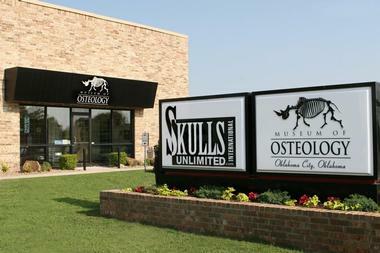 The Museum of Osteology, located in Oklahoma City, is a 7000 square foot museum that focuses on providing information about bones, and it is the first of its kind in the States. It interprets the function and form of the animal (including the human) skeletal system. The museum's galleries display about 300 hundred skeletons and skulls from all all over the world. Exhibits explain locomotion, adaptation, classification, and diversity of the vertebrates such as mammals, reptiles, birds, amphibians, and some species of fish. Explorers' Corner offers visitors a hands-on experience with more than a dozen of skulls of real animals. They can examine and handle a number of North American species, check their knowledge of osteology, and even participate in the challenge of the three Mystery Skulls. The Oklahoma City Zoo and Botanical Garden is located in Oklahoma City's Adventure Park on 119 acres designed to recreate natural habitats of animals that live in it. 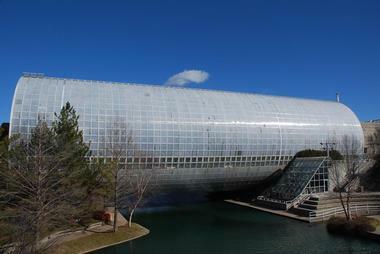 It is currently home to over 1,900 animals. There is a six-acre tropical jungle with lush tropical plants that is home to gorillas, orangutans, and chimpanzees, a 9.5-acre elephant habitat, the Children Zoo with flamingos, goats, monkeys, and lorikeets, Cat Forest, with 4000 plants that recreate habitat for African lions, tigers, and snow leopards, Oklahoma Trails with animals that live in Oklahoma such as black bears, bison, alligators, beavers, snakes, birds, and much more. 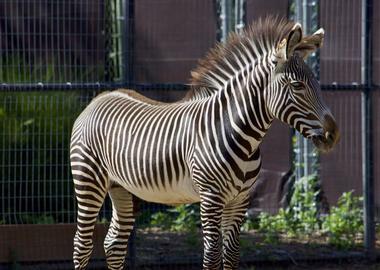 Visitors to the zoo can also enjoy Safari Voyage boats, the Safari Tram, the Endangered Species Carousel, the Centennial Choo Choo, the Sea Lion Show, swan paddleboats, and the Jungle Gym Playground. Science Museum Oklahoma, also known as the Omniplex, is located in the Kirkpatrick Center museum complex on more than eight acres of land, promising incredible fun. It is one place where you can let your inner child go wild. With a huge number of hands-on exhibits, a state-of-the-art theater, a planetarium, a range of galleries, and much more, Science Museum is the place where education goes hand in hand with entertainment. Exhibits such as the Tinkering Garage let visitors explore the available tools and create projects. You get to travel beyond the Milky Way in the smART Space Galleries, watch live explosions in Science Live, or go wild with curiosity in the CurioCity. The Science Floor shows how science affects everyone's everyday life, from balance control and magnetism to optics and resonance to airplane wings. 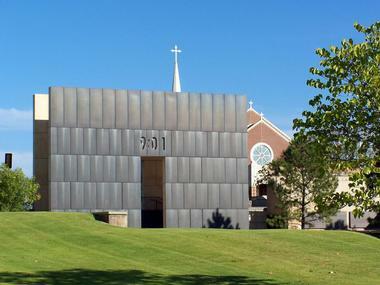 Located in downtown Oklahoma City on the site of the former Alfred P. Murrah Federal Building (which was destroyed in the bombing in 1995), the Oklahoma City National Memorial honors all those affected by the 1995 Oklahoma City bombing, including the victims, rescuers, and survivors. The Outdoor Symbolic Memorial is spread on 3.3 acres and consists of the Gates of Time, the Reflecting Pool, Field of 168 empty chairs, Survivors' Wall, Survivors' Tree, the Memorial Fence, Rescuers' Orchard, Children's Area, Journal Record Building, and the Alfred P. Murrah Federal Building Plaza. Journal Record Building is home to the Oklahoma City National Memorial Museum, with a number of artifacts and exhibits about the Oklahoma City bombing. The Boathouse District on the Oklahoma River in Oklahoma City is the place to go if you feel like having some fun on the water. Located near Bricktown Entertainment District, Boathouse District is the official U.S. Olympic and Paralympic Training Site for rowing, kayaking, and canoeing. But you do not have to be an Olympian to have fun on the water and go kayaking, canoeing, or stand-up paddleboarding, use land fitness facilities, or hit 13 miles of paved trails running or cycling. Check RIVERSPORT Rapids & Adventures for their high adrenaline activities such as whitewater rafting, zip lines, high speed slides, and adventure courses. Check the Boathouse District calendar to find out about one of their many festivals such as the Oklahoma Regatta Festival and the Stars & Stripes River Festival. The 45th Infantry Division Museum in Oklahoma City celebrates the history of the Oklahoma 45th Infantry Division of the National Guard called the Thunderbirds, as well as other aspects of American military history. The museum has a range of exciting exhibits. 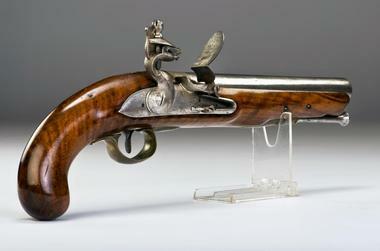 One of the most important is the Reaves Firearm Collection of basic weapons used by infantry and cavalry from the Revolutionary to the Vietnam War. One of the particularly interesting exhibits in the museum is the famous Mosby Cannon, a Civil War cannon that the Union army captured in 1863. The museum also features more than 200 cartoons created by Bill Mauldin, a 45th Infantry Division soldier, about World War II. The cartoons were produced mostly from 1944 to 1945. The Hall of Flags' exhibits tell Oklahoma's military history starting with the history of the Oklahoma forts. The exhibits, which feature photographs, artifacts, and documents, also describe battles that were fought in Oklahoma during the Civil War, the Spanish-American War, and World War I. The best way to take a tour of Oklahoma City's historic Bricktown entertainment district is aboard the Bricktown Water Taxi. The taxi runs seven days a week in the summer and most days during the rest of the year, weather depending. A round-trip tour of the canal takes approximately forty minutes. 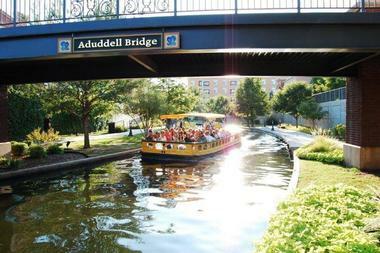 Alternatively, guests can use the boat like a taxi to take them to the sites in the Bricktown District. A purchased wristband is good for the entire day, and there are discounts available for children, seniors, and military members. Chartered trips and dinner cruises are also available. The Oklahoma Land Run Monument recognizes the historic beginnings of Oklahoma Territory's settlement and eventual statehood. On April 22, 1889, 50,000 settlers rushed onto the plains of Oklahoma to stake their claim on land the government was giving out for free. 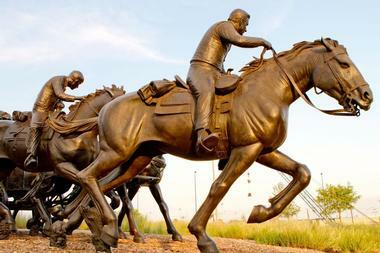 The Land Run Monument is a group of bronze statues depicting the brave settlers and their horses and wagons as they made a frantic dash for the land. The monument stands at the south end of the Bricktown District and is open 365 days per year, 24 hours a day. Admission is free. Come and enjoy the Great American Pastime at Chickasaw Bricktown Ballpark, which is the official home of the Dodger's, Oklahoma City's minor league baseball team. The Dodgers are part of the Pacific Coast League and are the triple-A affiliate of the Los Angeles Dodgers. 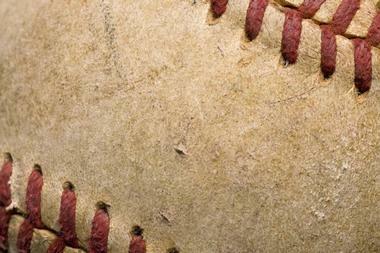 The ballpark is located in the Bricktown entertainment district and can seat up to 9,000 fans during a game. Games are played from April through September. Individual game tickets, as well as season passes and 3-game packages, are available for purchase. Concessions and souvenirs are also available at the ballpark. 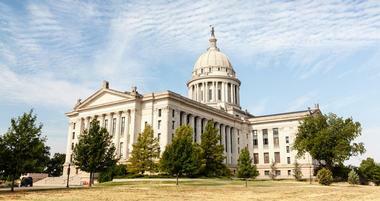 Explore the history and government of the state of Oklahoma at the State Capitol building. This Greco-Roman structure, built in 1915, contains 600 rooms and 11 acres of space. Inside, visitors will find large murals depicting the history of the state, as well as art exhibits, statues, and the Oklahoma Veterans Memorial. Outside, guests can stroll the beautifully landscaped grounds and see the working oil derricks on-site. 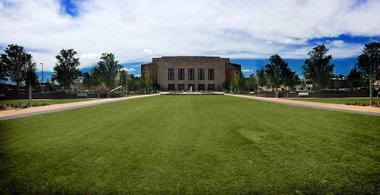 45-minute guided tours are offered on the hour, Monday through Friday. Admission is free, and there is a gift shop on the premises. The American Banjo Museum in Oklahoma City is dedicated to the history of the banjo and its use in various types of music. 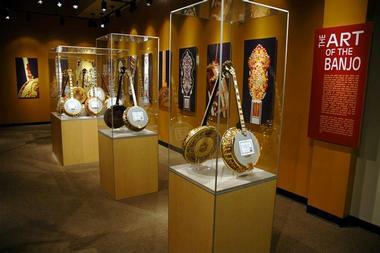 This 21,000 square-foot facility contains the largest banjo collection in the world. See replicas of primitive banjos that were used in Africa, banjos used by travelling minstrels in the 1800's, and modern banjos used in jazz, bluegrass, and folk music. There is a large emphasis on banjos used in American jazz music in the 1920's and 1930's. The museum is open Tuesday through Sunday. Admission is $8, and discounts are available for children, seniors, and military members. 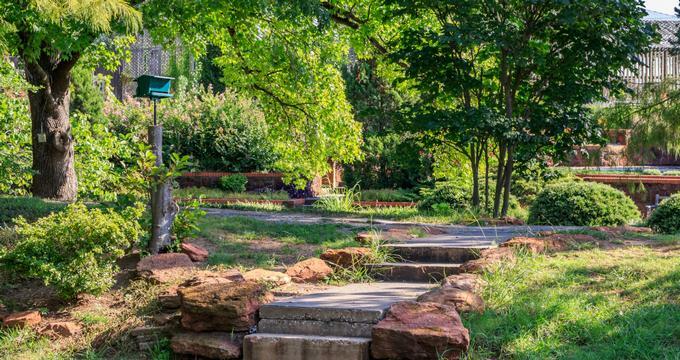 Discover the natural beauty of Oklahoma at Martin Park,a large nature preserve with 2.5 miles of trails that cover woodlands, plains, and a large creek. The park also contains a nature center with a library and live animals. Martin Park is dedicated to nature education and conservation. They offer events for the public throughout the year, including guided hikes, summer camps, and educational programs. The park also has a picnic pavilion that can be reserved for groups for a small fee. The park is open every day, year-round. The visitor center is closed on Mondays and city holidays. Oklahoma is full of history, and that history comes alive at the Oklahoma History Center. This massive structure covers over 200,000 square feet and is situated on 18 acres of land across from the state capitol building. Inside, five galleries full of high-quality exhibits and state-of-the-art technology showcase various topics on Oklahoma history such as geology, commerce, Native American culture, settlers, aviation, and more. The museum offers special classes and programs for children and adults, as well as living history presentations and tours. The museum is open Monday through Saturday and is closed on major holidays. Businessman and county commissioner Henry Overholser is often called the "father of Oklahoma City" for his work in developing the town. 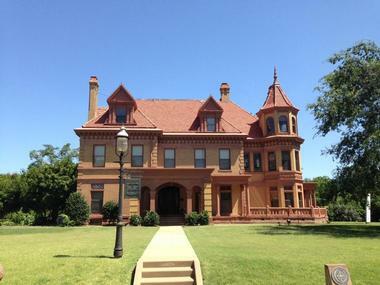 His massive 3-story Victorian-style mansion was built in 1903 and was sold to the Oklahoma Historical Society in 1972. 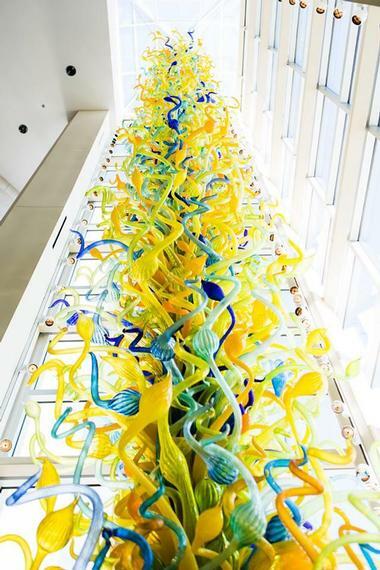 The Oklahoma City Museum of Art Museum Cafe is an upscale full-service restaurant located on the ground floor of the Oklahoma City Museum of Art, which showcases one of the world's most comprehensive collections of Chihuly glass sculptures. Lunch and dinner service is offered Mondays through Saturdays, highlighting gourmet land, sea, and pasta entrees such as grilled quail, ravioli primavera, and sea scallops with saffron risotto. Build-your-own hamburgers are also served at lunch, along with shareable appetizers such as fried green tomatoes, veal sweetbreads, and hummus platters. At Sunday brunch, diners can choose from classic cocktails such as mimosas and bloody marys, complemented by platters such as pulled pork and hash, salmon lox tartine, and the cafe's specialty three-egg omelettes. Full British-style afternoon tea is also served on select days, along with Dinner and a Movie-style prix-fixe menus. 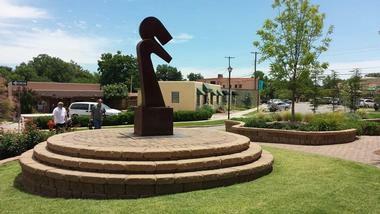 The Paseo Arts District is the premiere destination for all forms of art in Oklahoma City. The buildings of this two-block street reflect the Spanish revival style of architecture. The district is home to 22 galleries, art schools, restaurants, and boutiques. The galleries hold a variety of artworks, including paintings, drawings, and theatre performances. Classes for both children and adults are available, and thwy cover topics such as painting, jewelry making, and crafting. The Paseo also holds special events such as American Craft Week and the First Friday art openings and receptions. Gallery, restaurant, and boutique hours vary by business. 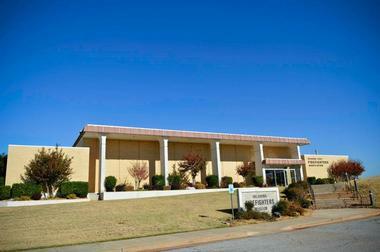 The National Softball Hall of Fame, originally established in Newark, New Jersey in 1957, made the move to its current location in Oklahoma City in 1973. Currently, the 18,000 square foot hall contains only 366 members, making it one of the more difficult halls of fame to become a part of in the country. 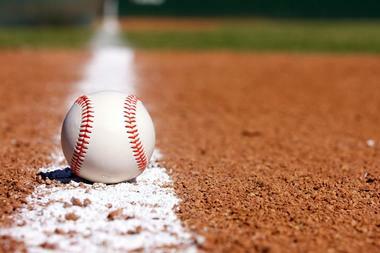 Categories include both men's and women's fast and slow pitch, commissioner, manager, sponsor, and meritorious service. The hall of fame is open Monday through Friday from 8:30 a.m. to 4:30 p.m. Admission is free, but donations are requested and appreciated. The Harn Homestead is an outdoor museum situated on 10 acres of original Oklahoma Land Run property. The museum is dedicated to the early settlement of the Oklahoma Territory and the settlers' way of life. The museum grounds contain a Victorian-style home, a farm, and a one-room schoolhouse. Tours are available Monday through Friday all year round except for federal holidays. In addition, the homestead offers educational day camps and field trips. The facility can also be rented out for weddings and special events. 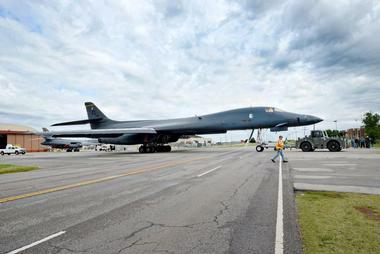 The Tinker Air Force Base is a military instillation located off of Interstate 40 in Oklahoma City. On the base is the Charles B. Hall Airpark,an outdoor museum and monument to the history of military aviation. It is named for Major Charles Hall, one of the Tuskeegee Airmen and a member of the 99th Pursuit Squadron. Guests can walk around and view many restored aircraft, as well as sculptures and memorials dedicated to prisoners of war and to Medal of Honor winners. The airpark is open from dawn to dusk and is free to the public. There is no shortage of things to do at the Orr Family Farm! Both children and adults can take part in exciting outdoor activities such as gemstone mining, paintball, hayrides, and pony rides. 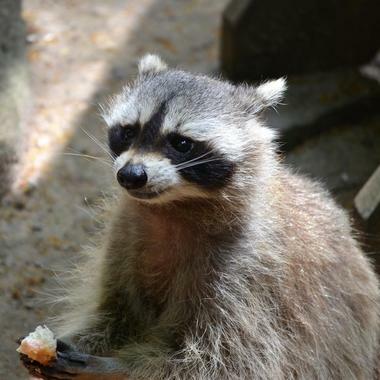 Make your way through the corn maze, feed the animals at the animal barn, or play on the large outdoor playground. 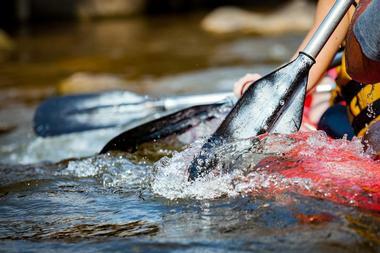 Educational field trips are offered for groups of 25 or more. 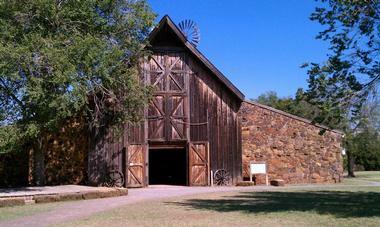 In addition, the farm can also be rented for weddings, birthday parties, and corporate events. 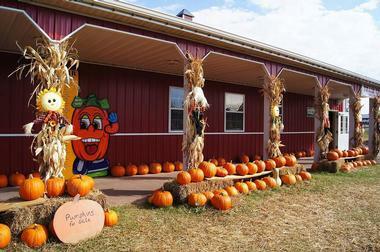 The Orr Family Farm is open from March until June and then again from September to November. Dedicated in 1969, the Oklahoma State Firefighters Museum is a monument to the history and bravery of firefighters from Oklahoma and around the world. The museum contains historic firefighting materials dating back as far as the 1700's, as well as a large collection of firefighters' patches. There are artifacts from the London Fire Brigade, several restored fire trucks from various time periods, and a memorial to both living and fallen firefighters. The museum is open daily except for federal holidays. Admission is $6.00, with discounts for seniors and children. In addition, the facility can be rented for group events. Built in 1937 and renovated many times throughout the years, the Civic Center Music Hall is Oklahoma City's premiere concert hall. The hall seats 2400 and hosts 250 performances a year, including classical and contemporary music concerts, Broadway musicals, comedians, children's shows, and dance performances. The Civic Center is the main performance venue for the Oklahoma City Philharmonic Orchestra. The hall also contains a concession stand, bar, and coffee shop, so guests will have everything they need to enjoy the performance of their choice. Tickets can be purchased online, by phone, or at the Civic Center box office. All sales are final.